Present Perfect Tense Rewrite with Since & For.Present Perfect Tense Rewrite with Since & For.Present Perfect Tense Rewrite with Since & For.Present Perfect Tense Rewrite with Since & For. 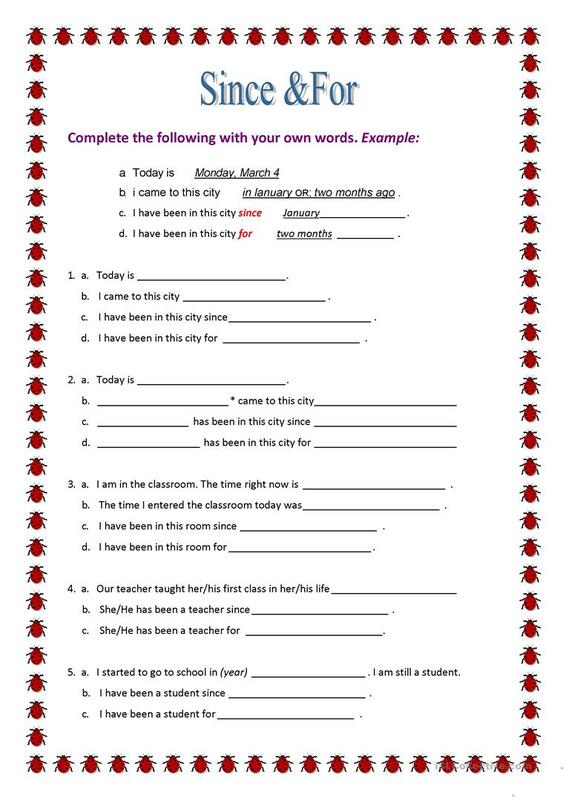 The present printable, downloadable handout is recommended for business/professional students, high school students, elementary school students and adults at Elementary (A1), Pre-intermediate (A2), Intermediate (B1), Upper-intermediate (B2), Advanced (C1) and Proficient (C2) level. It can be used for improving your groups' Reading and Writing skills.